The Ramsay brothers are keen to move up in the world and get the hell out of town. They gather all their hopes in one basket and set up the Scottish Open dog-fighting tournament. In Leo they have the animal to win it. All they need to complete the plan is a fair wind. Carlo Salvino returns home missing an arm and a leg. He’s keen to win back the affections of his teenage girlfriend and mother of his child. If he can take his revenge on the Ramsays, so much the better. The Hooks, well they’re just a maladjusted family caught up in the middle of it all. 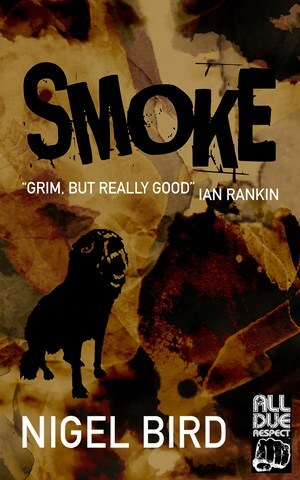 A tale of justice, injustice and misunderstanding, Smoke draws its inspiration from characters introduced in a short story first published by Crimespree Magazine and later in The Mammoth Book of Best British Crime Stories 8.